NoBullU Battle Cry, Time to Refresh Liberty and Siege D.C.! This is an urgent battle cry for all NoBullU readers and listeners: Time to unite Tea Party members and Occupy movements to fight corrupt crony capitalism. 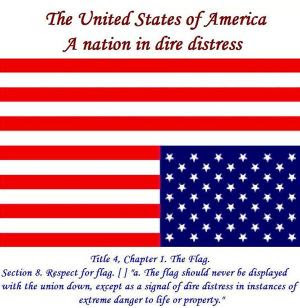 The plan is to lay siege to the federal government, a figurative siege that is, of calls, and faxes, and emails, and letters, and demand that the government protect the treasury of our country from further looting. The next siege will commence on a date in January to be announced, with one volley, at noon EST. The specific objective is the White House. Tell them that we're not gonna take it and you want the government to protect the treasury. I'm going to tell them: "Stop crony capitalism! Protect the treasury NOW from further looting." Now is time to prepare. Recruit fellow taxpayers, family, and friends. CAUTION: Be careful, and don't do anything stupid.